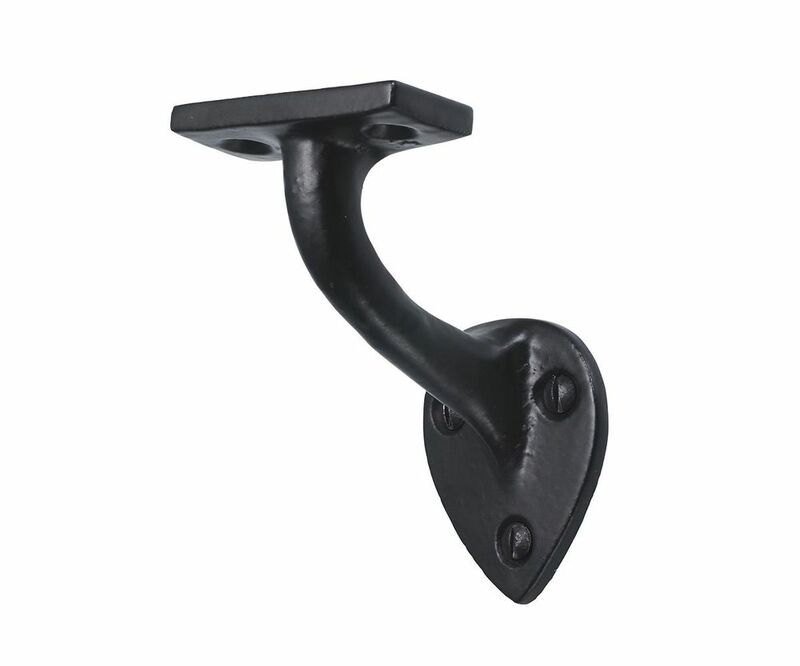 A decorative handrail bracket to support a staircase banister or handrail. Beautifully cast in iron, with a black powdercoat finish which not only gives it a period feel but also helps prevent colour fade and corrosion. From a shaped rose the stem projects out in a choice of 2 lengths, either 64mm or 76mm and finishes with a rectangular fixing plate to be fitted on the base of the handrail. A perfect compliment to any home.